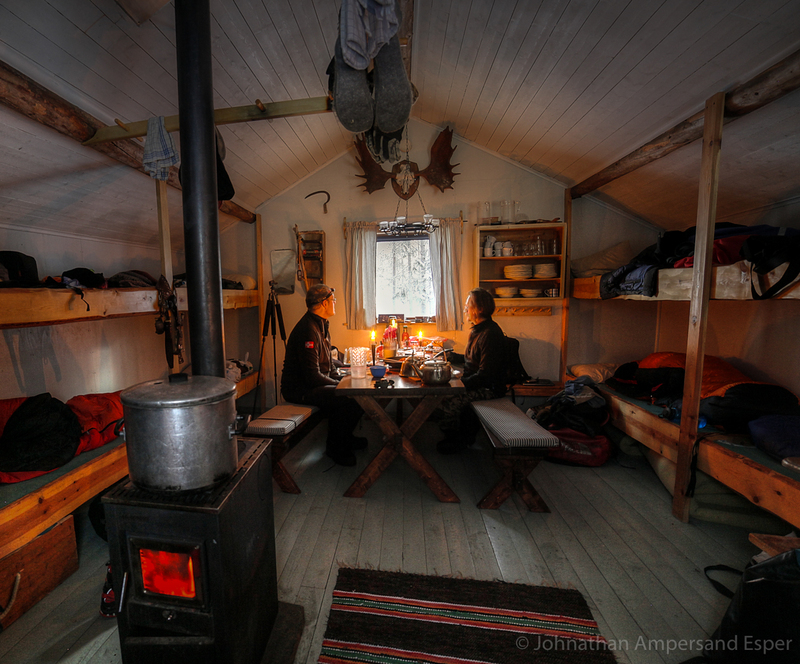 Dinner in a warm cabin in Sweden. Captured on a 10 day dogsledding trip in -30 to -20 degree C temperatures near Kiruna, Sweden. Photo © copyright by Johnathan Ampersand Esper.